Easter weekend is slowly approaching, which means it’s almost time for Emerald’s beloved Easter Sunflower Festival! Starting over 40 years ago, the event is a widely recognised five-day celebration within the Central Highlands of Queensland. The festival will be offering a variety of events to suit each individual. Whether you are seeking adventure or want to have a nice relaxing time with friends & family, there is a bit of something for everyone. The Sunflower Festival will take place at the Emerald Racecourse, with the parade starting on Easter Saturday at 9am. The Sunflower Queen will be crowned during these celebrations and the rodeo will be kicking off at around 3pm. 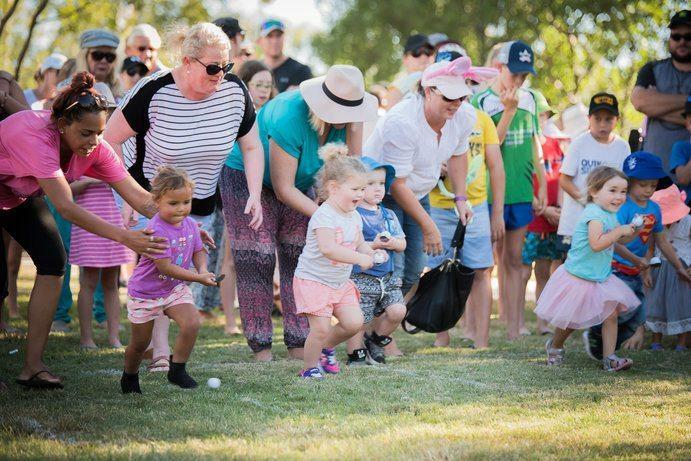 This event allows residents in Emerald to gather their loved ones and invite them all down to experience the wonderful Easter celebration in the country. If you would like more information about Emerald’s Easter Sunflower Festival, you can head to their website. Interested and in need some Accommodation in Emerald QLD this Easter? The Emerald Explorers Inn is equipped with everything essential that you’ll need to enjoy your stay this Easter. Our Emerald Explorers Inn offers restaurant and lounge bar, pool, free wifi, complimentary airport transfers, and room service. Easter celebrations begin soon. So if you need Emerald Accommodation, be sure to secure a spot for you and your family. For bookings or other inquiries, please contact us here.